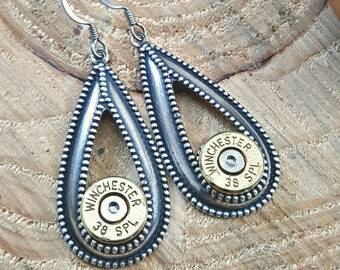 NEW Design from SureShot Jewelry - When quality, handcrafted original designs are what you are looking for when it comes to bullet designs! 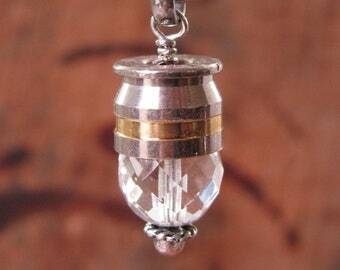 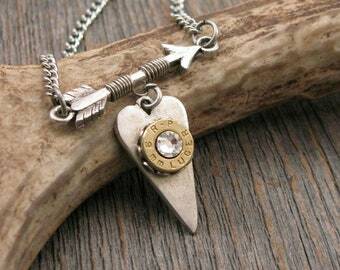 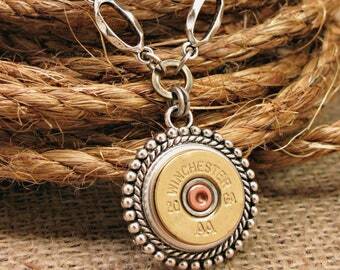 This necklace comes with FIVE TIMES the firepower of a single bullet necklace! 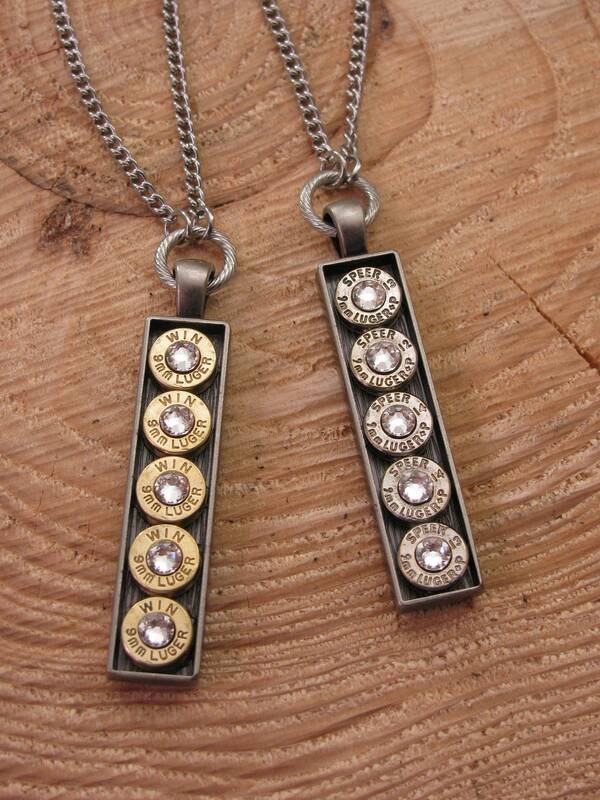 Add the long length, slim styling, choice of brass or nickel 9mm casings, and the added diamond bling, this necklace is a MUST HAVE. 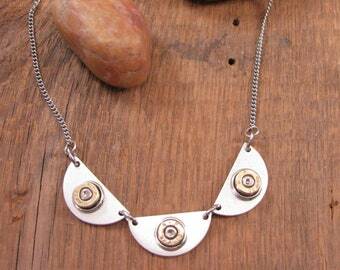 Long bar shapes are on trend, and this one adds some firepower to the mix! 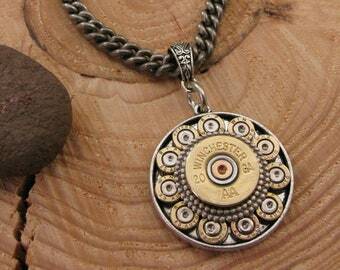 Wear this with any outfit!